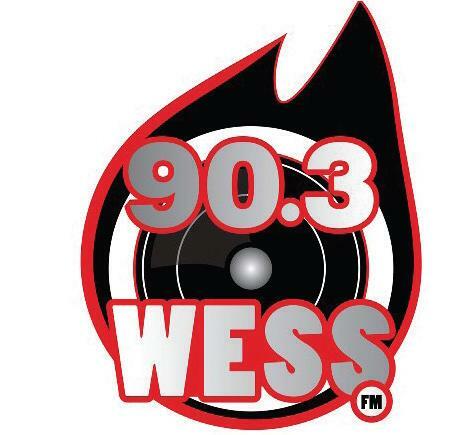 90.3 WESS is East Stroudsburg University’s very own radio station. WESS is a full twenty-four hour, FM licensed, radio station, located on the second floor of the McGarry Communication Building, which runs on the frequency 90.3. The station’s format is considered, “Diversified,” accepting all music, talk and informational programming to be broadcast at WESS, while promoting an atmosphere for “good taste” on the air. The radio station is entirely student-run and operated by fifteen, student directors and is aided by the university adviser, Robert McKenzie, the Chair to the Communication department. The rest of the station is comprised of over forty student and faculty disc jockeys who put together a variety of shows spanning several genres. Any student, faculty, or university worker can become a WESS member with proper commitment, time and training. A few of our faculty shows include “Brain Tumor Talk” by disc jockey Rick Franzo, the manager of the university convenient store located underneath Center Court. His program promotes brain tumor awareness and sheds light on the impact of brain cancer on society today. “Devil’s Advocate” is another great program by disc jockey Fernando Alcantar, the Associate Director of Student Engagement for the Student Activity Association. His program is an informational and political talk show which focuses on guest speakers, who discuss a current issue in today’s world. You can catch his show. Some of our student run shows include “Heart 2 Heart” by disc jockey LaShondra Cherry. During her program she interviews rising musicians in the Hip-hop and R&B genre from all over the country. Another student show includes, “Hang and Bang,” a talk and music program which focuses on current events and, literally, anything going on in the lives of the disc jockey’s who perform the show, Gregory Curtis and Shane Adamson. WESS pushes to be a part of the university community by promoting events for other clubs and organizations, by creating Public Service Announcements, about their events to be played live, on air. WESS is always looking to team up with other clubs for university events like Relay for Life, Homecoming ceremonies, and many more. Disc Jockey’s also DJ live university events as well as public community events too. For more information about 90.3 WESS, East Stroudsburg University’s student run and operated Radio Station, you can go to quantum.esu.edu/clubs/wess/staff/. WESS. For those interested in becoming a WESS member you can contact Station Manager, Jillian Deiley, at jdeiley@live.esu.edu for more information.